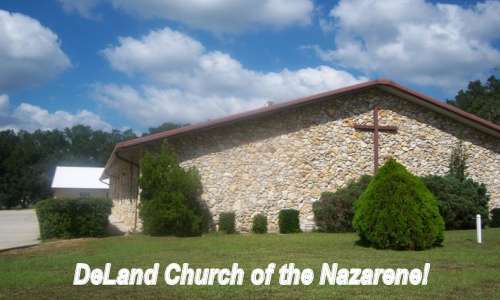 Thanks for stopping by the DeLand Church of the Nazarene Website! As one of many Churches of The Nazarene around the world, our local Church seeks to do life together as we follow Christ and grow deeper in His Word. We have opportunities for everyone to grow and mature in their faith. We believe that when you attend one of our services, you will quickly find a warm, friendly group of people committed to making worship and learning an enjoyable, exciting, and life-changing experience. Our mission is pretty simple: We want to help new disciples of Jesus Get Real ( genuine worship with Jesus ) Get Aligned (Allowing God to change your life to his patterns) and Get Going ( Find your place in Serving God through service to others) Hope to see you soon!